There’s a magic in Bhutan’s crystal clear air. 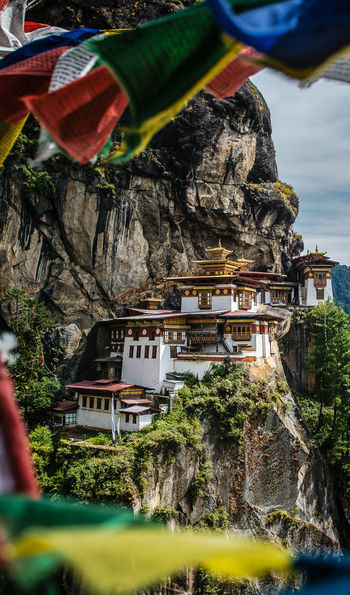 Guarded by the world’s highest mountains, grazed upon by lumbering yaks and bizarre takin goat-antelopes; populated by semi-nomadic tribes and beaming farmers in traditional robes, Bhutan boasts awe-inspiring landscapes and untainted Buddhist culture. 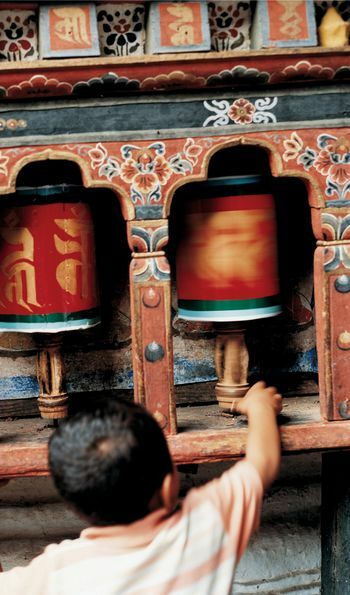 There is much to admire about Bhutan, and much to learn. 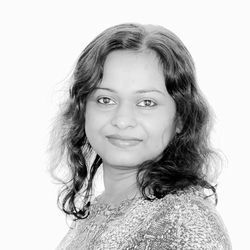 Nestled between Tibet and northeast India, centuries of isolation have gifted this Himalayan kingdom with pristine natural riches and a colourful heritage rooted in myth and religion. 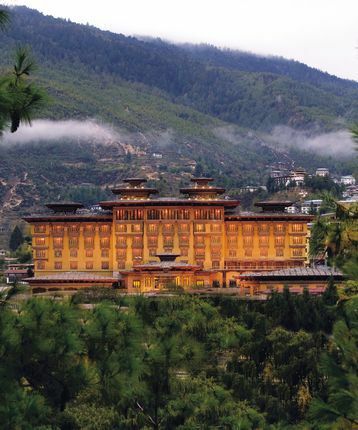 Joy is constitutionally prioritised above economic prosperity – for top-ups, visit Punakha’s majestic Palace of Great Happiness – and birthdays are celebrated at the turn of the year to ensure nobody is forgotten. Humbling kindness and warm hospitality accompany you through glacial valleys, on mountain trails or in hillside dzongs, great white fortresses with sweeping terracotta roofs. 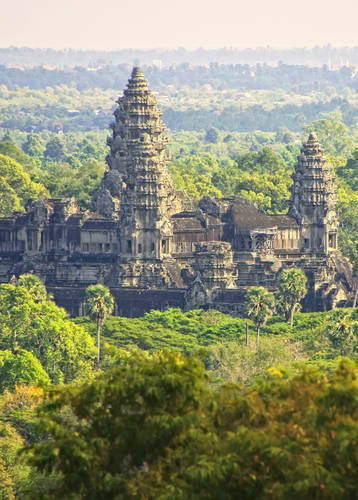 You’ll not have to venture far to trace this infectious atmosphere to its source: visitors are encouraged to relax with maroon-clad monks in medieval monasteries, where elongated brass horns and tinkling bells accompany deeply hypnotic chanting. 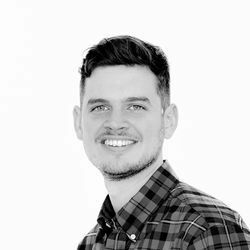 You’ll find dedicated painters of thangka masterpieces, rainbow prayer flags tangled around bright white stupas, and young monks spinning prayers into the high Himalayas. While Buddhism manifests in dragon myths, demon-masked dancing, animal sacrifice and energetic festivals, an ancient respect for nature has nourished an ethereal Shangri-La of Himalayan beauty. Pine-forested foothills bright with wild flowers and rhododendron blooms are sanctuary to some of Asia’s most elusive wildlife: leopards and tigers, red pandas and black bears, elephants and one-horned rhinos all call this peaceful Kingdom home. Ascend to 4,000m to behold cyan-blue lakes graced by black-necked cranes and otherworldly terrain, surrounded by snow-capped peaks and creaking glaciers. Holidays in Bhutan create indelible memories. Make the vertiginous ascent to the Tiger’s Nest Monastery high above the Paro Valley. 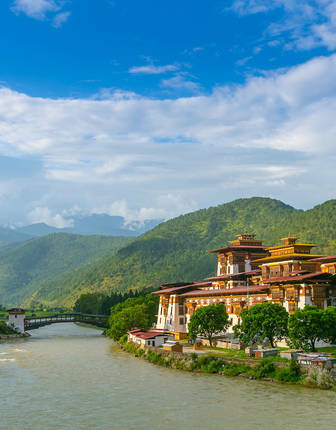 Gain an aerial view of the beautiful Punakha Valley from a helicopter and take in the dramatic landscapes, which are dotted with cliff-hugging villages and majestic fortress-like dzongs and monasteries. 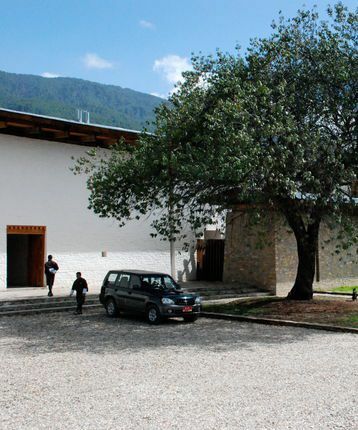 Visit the Punakha Dzong, one of the most important religious and cultural sites in Bhutan. take a heli flight up to Jangothan, the base camp for Bhutan’s most sacred peak, Mount Jomo Lhari. Journey to Gangtey Valley, a beautiful region for hiking and home to the infamous Hanuman Langurs. Set out on horseback to explore the dense pine forests carpeted with wild flowers or trek the high plateaus of the Himalayas, keeping a weather eye out for the mythical migoi (yeti). Enjoy lunch at high altitude with exceptional panoramic views or white-water raft along swollen river. Ride on elephants with a professional guide in search of tigers or go looking for leopards, black bears, red pandas and one-horned rhinos in the country’s wildlife reserves. 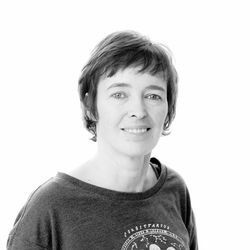 Listen to locals describing the challenges of developing their farms and industries while trying to protect their local fauna. 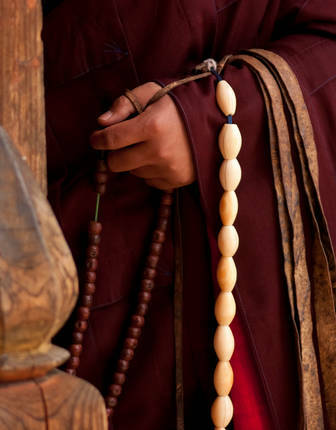 Admire the traditional knee-length gho robes and kira dresses worn throughout the country. 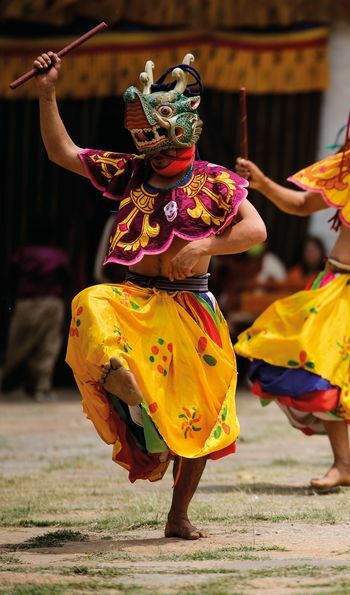 Secure an invitation to one of the energetic festivals and watch a demon-masked dance. Observe the meditative chanting of monks, spin prayer wheels or take part in festivities, Master the art of the national sport, archery, taught by a talented exponent and after working up an appetite, dine well on local delicacies by the campfire. You’d be forgiven for thinking that Bhutan is too far off the beaten path to be home to luxury accommodation but you’d be wrong. 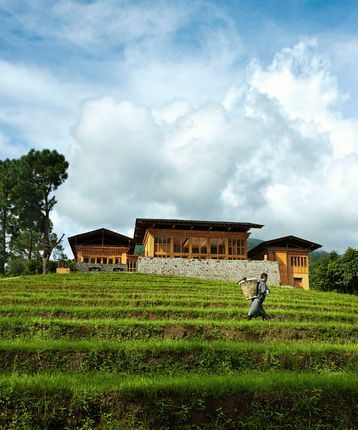 Stay in astonishing world-class hotels in misty valleys and forested hillsides including Amankora, base yourself at award-winning wellness retreats such as Uma by COMO Paro or enjoy the isolation of luxury lodges in wild locations like Uma by COMO Punakha. 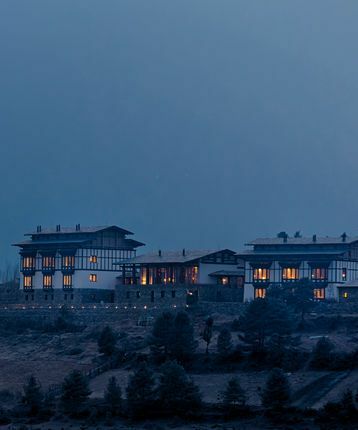 Alternatively, look for exclusive boutique hilltop retreats like Gangtey Lodge or settle in for the night at traditional dzong styled resorts with no sacrifice on style such as Taj Tashi Thimpu. Latest Bhutan offering from Aman, known for its high standards of service in a minimalist setting where all meals, drinks and activities are included. 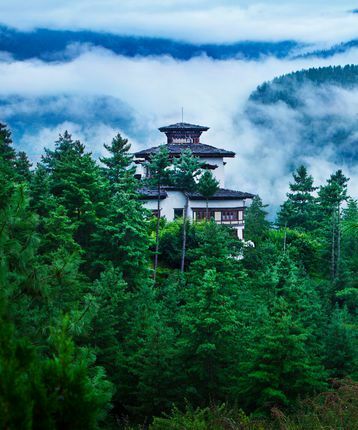 Award-winning retreat featuring the finest accommodation in Bhutan and an emphasis on wellbeing with yoga and meditation, a fabulous spa and fine cuisine. Bijou perfection in a dramatic location set against terraced rice paddies in a sacred, verdant valley. Fine dining and a fabulous spa complete the picture. Immerse yourself in Bhutanese culture at this exclusive hilltop retreat and take an exhilarating hot-air balloon ride over the mystical Gangtey Valley. Amazing views over the mountains and Thimphu Valley, complemented by stylish rooms and suites and mouth-watering Bhutanese, Tibetan and European cuisine. Although Bhutan is a year-round destination, we recommend visiting between October and December to maximise your chances of clear, fresh and sunny weather and to see some of the country's most colourful festivals. Between December and February it can get cold, especially at altitude. During the wet summer months, travel to some remote parts of the country can be difficult. Head to Bhutan in late spring to see spectacular rhododendron blooms as they cover valley floors in a blanket of colour. If you plan to visit during the festival of Paro Tshechu, which takes places each year at the end of March, you'll need to book well in advance as flights and accommodation fill up fast.